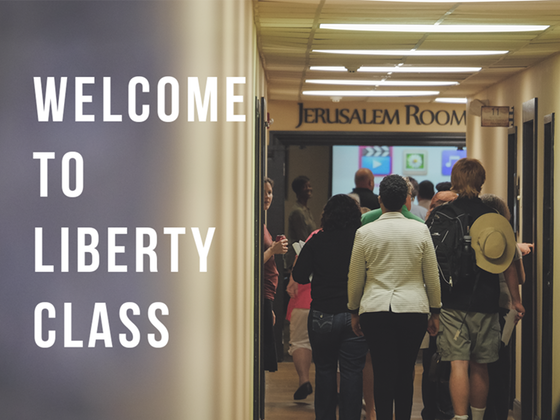 Our Welcome to Liberty Class is a fascinating combination of getting to hear the heart of our Senior Pastor, John Fichtner; of getting to know the leadership of the service you are attending, and have your questions answered - All in 45 minutes. In fact, we shorten our regular service, so that you will get out at the same time as if you attended the full service. We emphasize that this class is the opposite of pressure to join the church. We actually encourage you to take your time, kick the tires and check out the church. During this warm, fun 45 minute get together we share our history, our core values and let you meet the leaders. We also hope to hear your heart, perhaps hear some of your story, and to answer your questions. Your children will be well taken care of by our wonderful children's ministry and nursery and we'll top it off with some yummy snacks. We'd love to have you join us soon! You and your family are important to us and we'd like to get to know you!